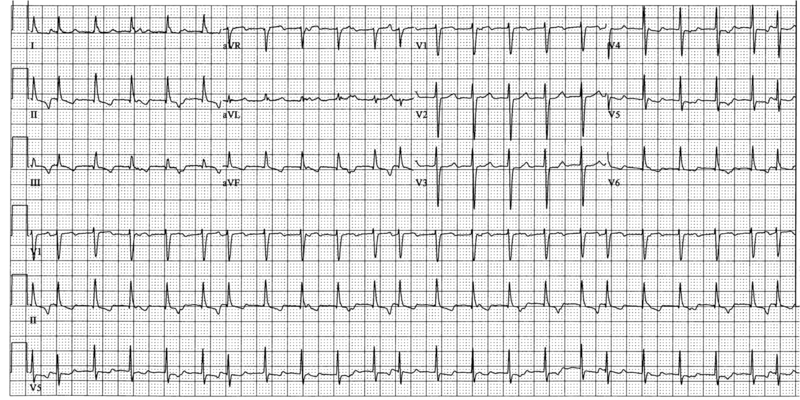 Dr. Smith's ECG Blog: What is this irregular supraventricular tachycardia? New K. Wang Video. What is this irregular supraventricular tachycardia? New K. Wang Video. Very informative and well-presented. Is there any way to enlarge the ECG or down load a larger copy to more easily follow along? I just posted it above. Good idea. I have never seen that chart that he is using. What is that called and where can I get more information about how to use it? It's called a ladder diagram and simply consists of spaces (columns) A for conduction in the atria, AV for conduction in the AV junction and V for conduction in the ventricles. A vertical or slanted bar in each column implies a conduction or depolarization has taken place there. It's a convenient diagram which allows us to see what happened in the conduction system, i.e. what's connected with what, what's not connected ( dissociated), what's blocked, etc. One can have more columns such as a column for SA node, divide AV column into upper and lower AV junction, a column for His bundle, etc. Many ECG text books use this diagram. Thanks , this is very instructive ! 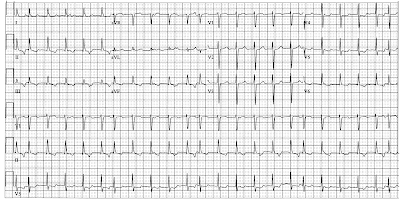 why are the T waves negatives in inferolateral leads ?